All the decayed original stone spouts were replaced with new lead spouts – each one individually manufactured to fit the space. 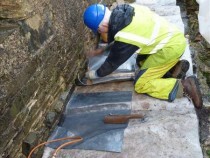 The lead is very heavy grade and, in order to support it (it would sag in hot sunshine), stainless steel rods were threaded through at the top of each side of the new drains. 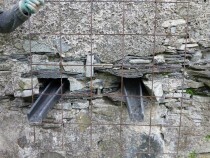 In the photographs below you can see the curled-over top edge of the lead, through which the steel rods fit. 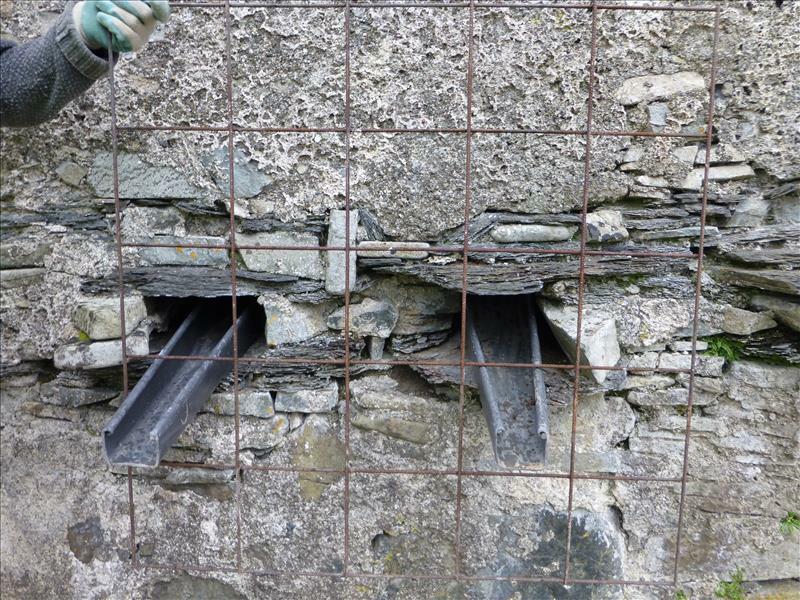 The drains extend about 500 mm beyond the wall in order to throw excess water as far from the building as possible. 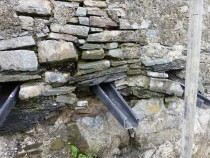 The new drain extends well beyond the wall to throw rain water well away. 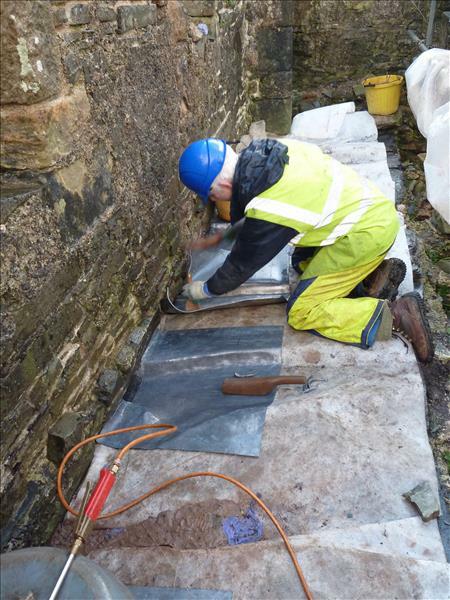 Contractor Duncan Strachan forms each new lead drain to fit.